Conveyancing is the cost that most people forget about when they’re buying a new house. If you don’t get a good deal it can be crippling, so being prepared and putting in the work to find yourself a good quality but affordable conveyancer could save you a lot of money. 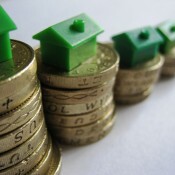 Part of saving money on conveyancing fees is to understand what conveyancers actually do. An understanding will help you make sense of what you’re spending your money on as opposed to thinking that you’re paying for bureaucracy. Conveyancing is essentially the legal side of transferring a property from one owner to another. They will conduct searches with various agencies and companies to ensure that the property has no financial liabilities or if it is liable for church repairs, etc. They will sort out stamp duty for you (which you have to pay for yourself) as well as any other fees you might have to pay, such as estate agent fees. They will take a look at your contracts regarding the purchase of the property. If you’ve bought many houses or properties before, and you think that the purchase of the latest property will be relatively easy, then you may be able to save yourself some money by going for a conveyancer that is less experienced. However, if you have less confidence then you should go for a specialist conveyancer that knows what they are doing. You should find a conveyancer as soon as you decide that you are ready to buy, as opposed to waiting to find a property that you want to purchase. This way, they will be able to get some of the paperwork out of the way first. Use a comparison website, like www.compareconveyancingquotes.co.uk, to get various quotes instantly from a range of conveyancers. Don’t necessarily go for the cheapest, as it may indicate a firm with a lot of clients who may not be able to deal with you very quickly, or someone with no experience. The most cost-effective conveyancers are usually the national chains, however it’s always worth comparing. Make sure that the quote that you get is understandable and broken down into what you’re actually paying for, and what counts as extra. For instance, some offer a fixed rate; others may quote for the conveyancers’ time. Many competitive conveyancers also offer a ‘no completion, no fee’ service that means that you don’t pay anything if the house deal collapses. It might mean, however, that the fees may be higher for when the deal goes through. It may sound like it would be cheaper, but doing the conveyancing yourself will cost you far more in time than it ever would in money. Unless you’re a conveyancer yourself, the process of conveyancing will be far too complicated and take far too much time, and could have terrible consequences if it was to go wrong. It might save you money, but it might cost you your new home.